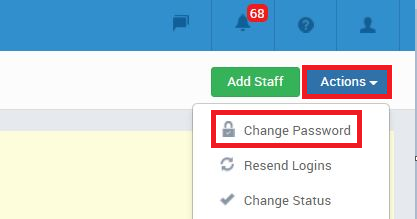 How to change my password as Supervisor or Admin? To change your own password go to your profile by hovering over the torso icon on the top right-hand corner and click on Your Profile. 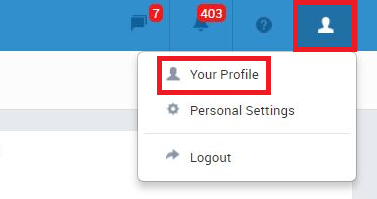 Once you're on your profile find the blue Actions button and choose Change Password. It will then open up a box where you can change your login details. Alternatively, you can also use the Forgot Password option on the login page which will send a password recovery link to your email. This lets you create a new password for yourself as well.